Although algal blooms, including those considered toxic or harmful, can be natural phenomena, the nature of the global problem of harmful algal blooms (HABs) has expanded both in extent and its public perception over the last several decades. 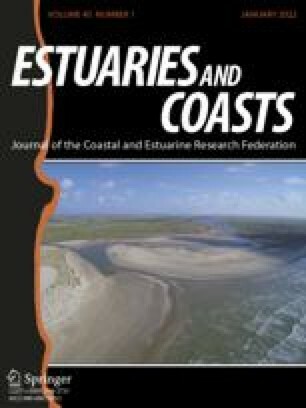 Of concern, especially for resource managers, is the potential relationship between HABs and the accelerated eutrophication of coastal waters from human activities. We address current insights into the relationships between HABs and eutrophication, focusing on sources of nutrients, known effects of nutrient loading and reduction, new understanding of pathways of nutrient acquisition among HAB species, and relationships between nutrients and toxic algae. Through specific, regional, and global examples of these various relationships, we offer both an assessment of the state of understanding, and the uncertainties that require future research efforts. The sources of nutrients potentially stimulating algal blooms include sewage, atmospheric deposition, groundwater flow, as well as agricultural and aquaculture runoff and discharge. On a global basis, strong correlations have been demonstrated between total phosphorus inputs and phytoplankton production in freshwaters, and between total nitrogen input and phytoplankton production in estuarine and marine waters. There are also numerous examples in geographic regions ranging from the largest and second largest U.S. mainland estuaries (Chesapeake Bay and the Albemarle-Pamlico Estuarine System), to the Inland Sea of Japan, the Black Sea, and Chinese coastal waters, where increases in nutrient loading have been linked with the development of large biomass blooms, leading to anoxia and even toxic or harmful impacts on fisheries resources, ecosystems, and human health or recreation. Many of these regions have witnessed reductions in phytoplankton biomass (as chlorophylla) or HAB incidence when nutrient controls were put in place. Shifts in species composition have often been attributed to changes in nutrient supply ratios, primarily N∶P or N∶Si. Recently this concept has been extended to include organic forms of nutrients, and an elevation in the ratio of dissolved organic carbon to dissolved organic nitrogen (DOC∶DON) has been observed during several recent blooms. The physiological strategies by which different groups of species acquire their nutrients have become better understood, and alternate modes of nutrition such as heterotrophy and mixotrophy are now recognized as common among HAB species. Despite our increased understanding of the pathways by which nutrients are delivered to ecosystems and the pathways by which they are assimilated differentially by different groups of species, the relationships between nutrient delivery and the development of blooms and their potential toxicity or harmfulness remain poorly understood. Many factors such as algal species presence/abundance, degree of flushing or water exchange, weather conditions, and presence and abundance of grazers contribute to the success of a given species at a given point in time. Similar nutrient loads do not have the same impact in different environments or in the same environment at different points in time. Eutrophication is one of several mechanisms by which harmful algae appear to be increasing in extent and duration in many locations. Although important, it is not the only explanation for blooms or toxic outbreaks. Nutrient enrichment has been strongly linked to stimulation of some harmful species, but for others it has not been an apparent contributing factor. The overall effect of nutrient over-enrichment on harmful algal species is clearly species specific.